Why should you buy a High Performance Grille? Take a moment to compare the differences and find out why the Commercial Doors Direct Model PG High Performance Grille is an ADVANTAGE! Commercial Doors Direct Model PD ADVANTAGE! Cotter pins on ends of all rods Ends of all rods are mechanically secured to better maintain curtain alignment. NOBODY BEATS OUR PRICES If you find a lower price from another online store, we will match the price and refund 10% of the difference. $$ $$$$$ Superb value –6 times the life for about 2 times the price of a traditional rolling door! 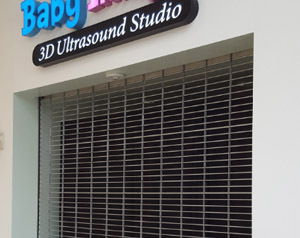 * Features listed are for a Commercial Doors Direct HG Grille and may exceed what can be expected on many other types of traditional rolling grilles. ** Additional warranty conditions apply. 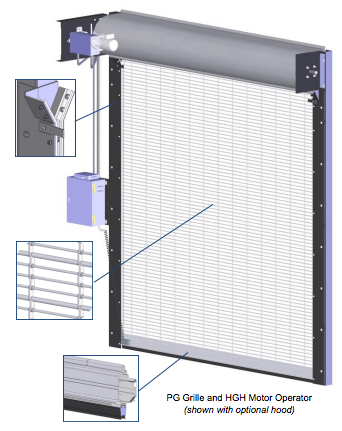 ***Cost comparison based on estimated initial cost for a 20' wide x 8' high grille, clear anodized finish, galvanized steel hood, monitored sensing edge, reclose timer, cycle counter, sales tax, and installation (not including power or control wiring).